Gucci Mane chops it up with ET at Atlanta's Hot 107.9 radio station and shares his thoughts on Nicki Minaj, French Montana and Yo Gotti! No one's safe- Gucci want's that spotlight back..lmao!! Check it out! As I was browsing www.vogue.com I noticed most of the Fall 2012 runways had a new trend that most don't bother with- baggy khaki trousers! I feel like skinny jeans and leggings have dominated the trend reports but wide legged and baggy is still in. 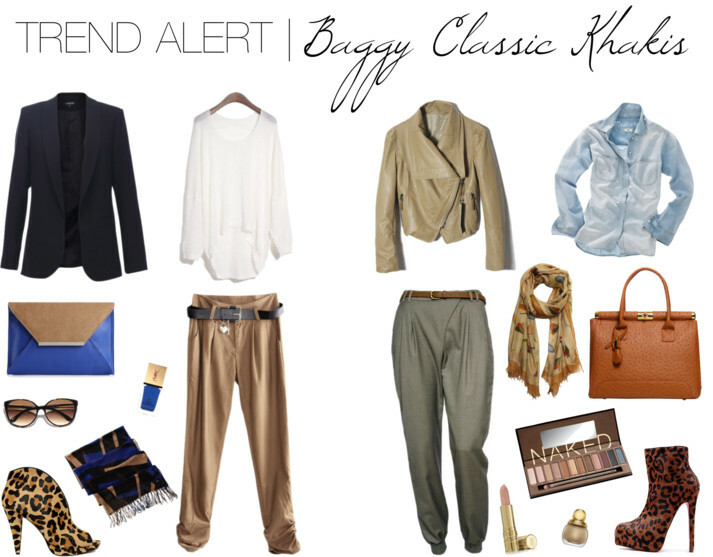 So I've created two looks to inspire you to rock baggy khakis! Its kind of a menswear inspired look too! And I really added a lot accessories for that very reason. We have to add some sassiness to this trend, right!?! Are you motivated to give this trend a try? Let us know! Feel free to email us @ addicted2candi@gmail.com to find out where to purchase any of the items featured above. 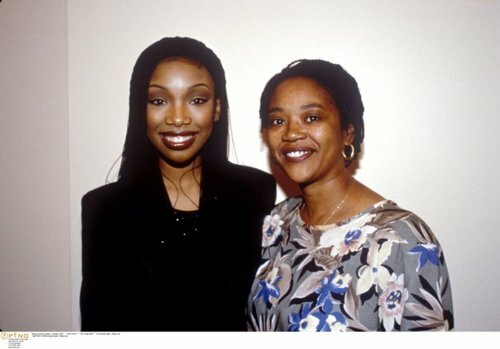 Are you a crazy Momager that will do what ever it takes to help your teen daughter reach her dreams of becoming a superstar?? When I saw this cover I so wanted to like it and say "I HEAR THAT".."Yes NeNe Get It"...but I can't..lmao!! It looks very hollyHOOD, I don't know if it's the color of her hair...the OD of diamonds.. or her devilish smile that comes off as "I told you I was rich Bi--h"..lol.. Candi just can't get jiggy with it. But I'm sure the issue will fly off he stands, being that home girl is quite comical. Keep hustling Nene! For those of you that are anxious for the full "Unapologetic" experience, it might be a good idea to start saving up - the limited edition version of Ri's album, called the "Diamonds Executive Platinum Box" , comes with a price tag of $250. In addition to a deluxe CD of "Unapologetic," recipients will find a 40-page "custom Rihanna notebook" containing lyrics and notes; an 11 x 17 note to fans written by the singer; a unisex shirt featuring an image from one of Ri's "Unapologetic" photo shoots; a collectible colored vinyl of "Diamonds" remixes; seven laptop stickers; a 2GB USB drive; a custom-made View-Master featuring 3-D images of Rihanna's "style transformation," and a few other items. The "Diamond Executive Platinum Box" is set to hit stores Dec. 11. However, If you can't get jiggy with $250, but don't want to settle for just the album, there's also a "Diamonds Deluxe Edition Box" for $79. 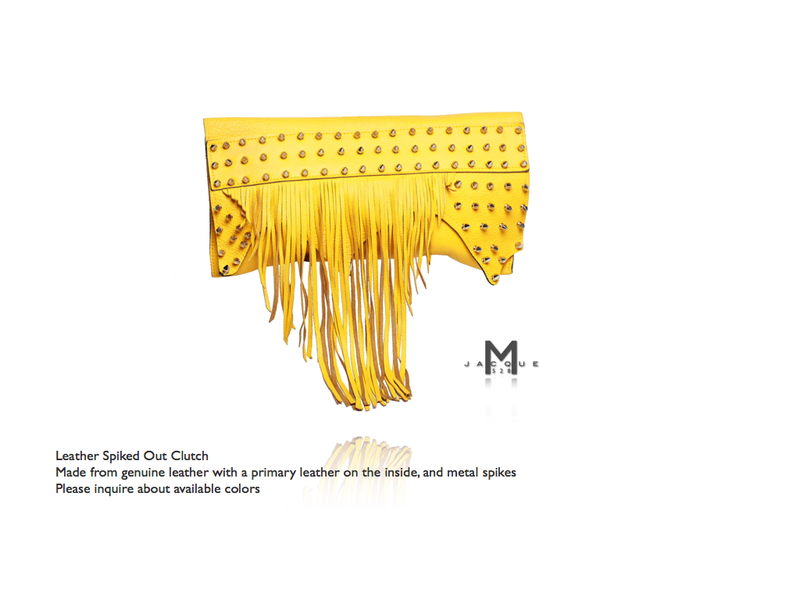 Introducing Jacque M. 528 Custom Handcrafted Handbags & Custom Leather Jeans. Jacque M. 528 is a line of luxurious custom designed leather bags and jeans. 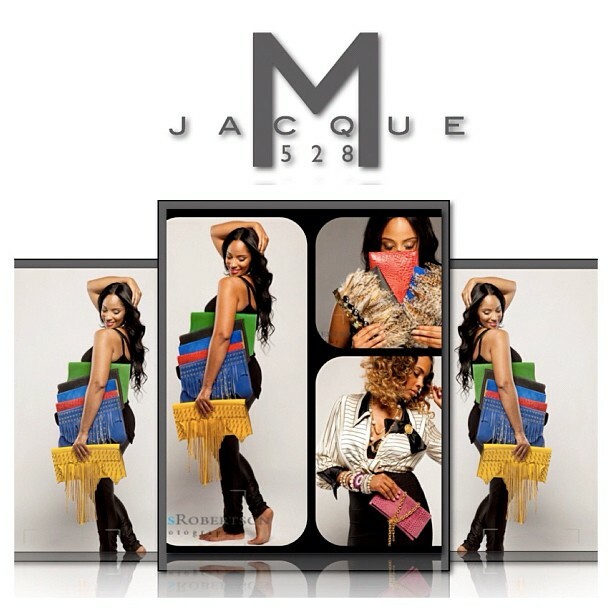 The Jacque M. 528 line was officially released in March 2012 by designer Jacque Martin. 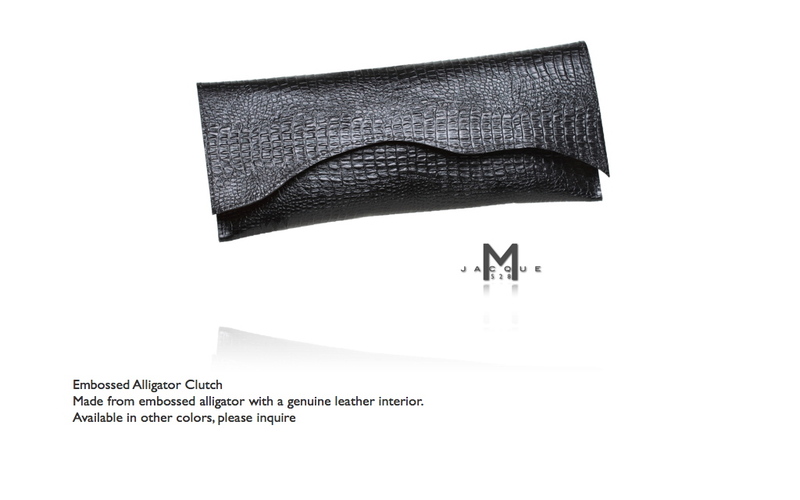 The clutch bags are hand-stitched and crafted in a unique “JM” pattern. Jacque M. 528 will expand and introduce multiple bag and denim designs in the near future. 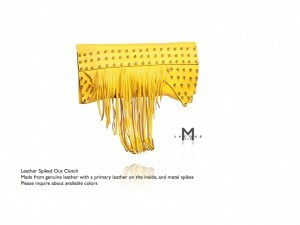 Prices for the FLY clutches range from $189.00 - $325.00, and I am soooo eyeing the yellow one!! Yo Jacque, my bday is Nov 12th -:)...what's up?..lol..Be sure to follow the designer on Instagram @iamjacquem and head over to www.jacquemonline.com to see more of her pieces. 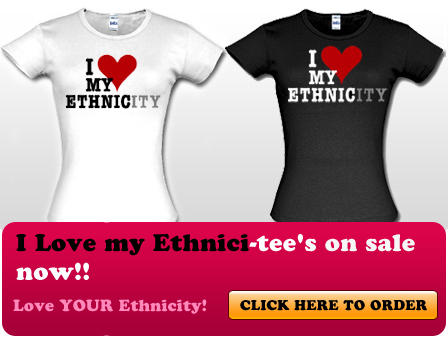 Be sure to tell her Candi from Addicted2Candi.com sent you!! 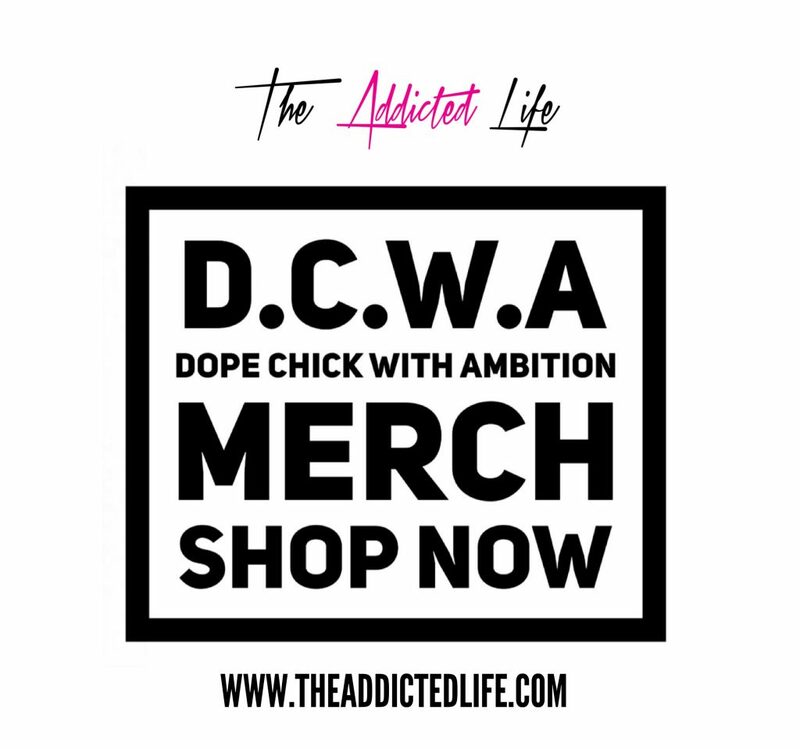 If you have a DOPE clothing or accessory line and would like a feature on www.Addicted2Candi.com send an email to Addicted2Candi@gmail.com and we can go from there. P.s It must be DopeTastic!! I'm slightly over the whole "power tracks", where 4 or more popular artist at the get on a track and attempt to give us a banger. What happen to solo tracks or maybe one feature? Anywho...Fat Joe teams up with Lil Wayne, A$AP Rocky & French Montana for his current track "Yellow Tape." As always DJ Khaled is on production, be sure to check back for the visual coming soon. Yes another Nicki Minaj post- I'm no stan but the girl is all over the place. So it's a must we show her love Addicted2Candi.com. The official tracklist has been released for the re-release of Pink Friday: Roman Reloaded The Re-up. 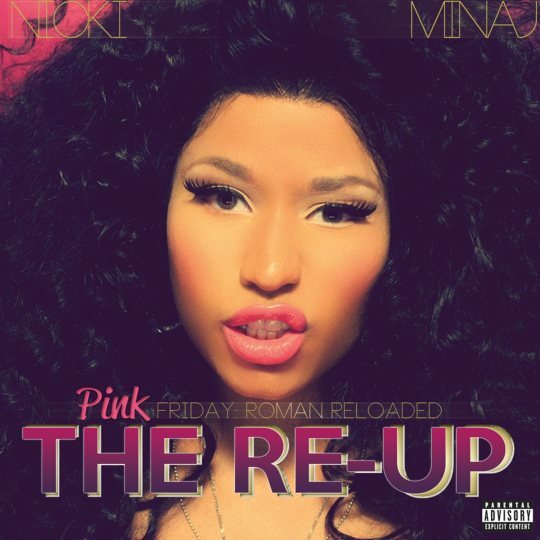 The Re-Up is a double CD which features the original “Roman Reloaded” with 7 new tracks and a 90 minute DVD from her recent tour. The DVD will feature behind the scenes footage as well as appearances by Lil Wayne, T.I., Justin Bieber, Rihanna and more! Album drops November 19th! P.s I'm feeling the black hair in the shot...but something looks realll off...idk..Peep the video for her song "Va Va Voom" below. Nicki Minaj is steady getting paper! The pop star attended the in-store launch party for her new M•A•C Viva La Glam Nicki Lipgloss in London. The lippie is a Limited Edition and can be purchased on line at Mac Cosmetics. In more Nicki Minaj news, the head Barbie in charge has confirmed the reality TV talk I shared with you a few weeks ago. According to E!, Minaj's first special "Nicki Minaj: My Truth" will grant her fans, "barbz," access to her life behind the songs, videos and more. The series will launch this Sunday, November 4. Hopefully it will be totally different from her MTV doc titled Moment For Life. I'll be tuning in-nonetheless.